Heading to the Tampa/Clearwater, FL area??? 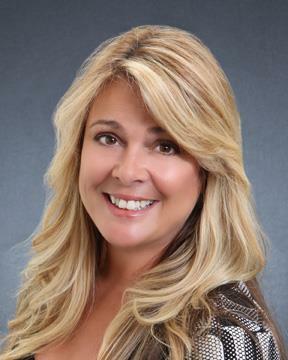 Founded by Navy Wives who specialize in Military relocation. Let us help you today! CHECK OUT THE HIGHLIGHTED HOME OF THE MONTH! 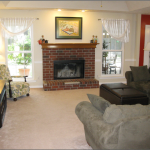 The house is located in a private community with access control and private security 24/7. 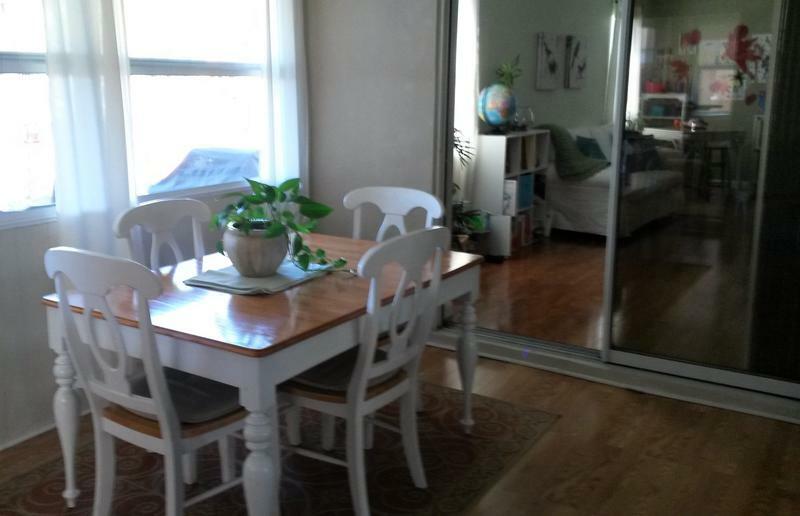 2 1/2 bathroom, Family, living room, dinning room, kitchen, Double Garage. All rooms and family are equiped with inverter A/C system. Also the house include Refrigerator, Stove, Microwave, Washing Machine, Dryer and 600- gallon water cistern with pressurizer system. Amenities: Basketball court, community center and kid playground. 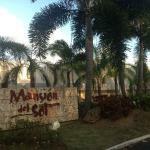 Also the house is near to Shopping Mall, Hospitals, Police Department, Bacardy Factory, Beach, Old San Juan etc. 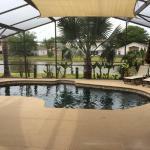 POOL HOME ON LAKE - ENJOY THE FLORIDA LIFESTYLE! 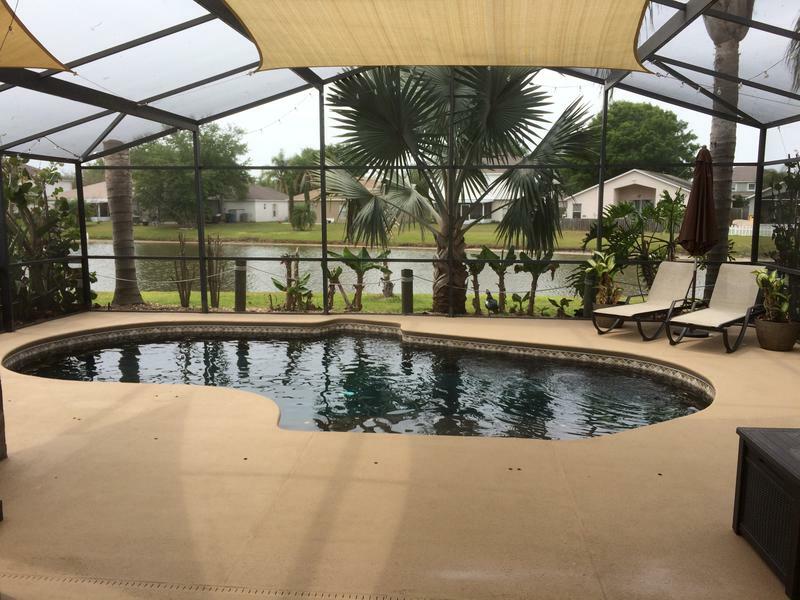 Beautiful Pool Home situated on a premium Lake lot, 4 BR, 3 BA, 1802 Sq. Ft. Enjoy beautiful sunsets from the screened Lanai, solar heated salt water lagoon style Pool and Jacuzzi Spa overlooking the lake, complete with custom sail shades and café lighting. Lush tropical landscaping & garden area with a fire pit and raised gardens surround the home and has a 4 zone irrigation system. A separate storage shed which is concealed by the PVC privacy fencing on both side yards. 2 Car Garage, with new smart connected door opener, custom storage shelfs and cabinets. 18 Seer, high efficiency, 5 ton, HVAC with variable speed air handler. Enjoy peace of mind with the wired 8 channel HD-CCTV security camera system and full perimeter wired alarm. Home is wired for FIOS cable in all rooms, TECO’s Energy Planner is available for major appliances which keeps the electric bill consistent and affordable, efficient LED recessed lighting in the Kitchen and 3M Hurricane tint installed on all of the windows. 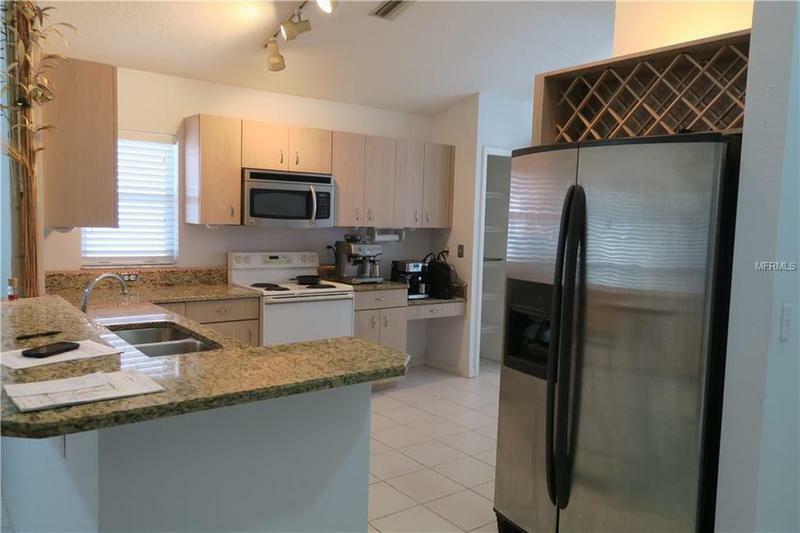 Recently updated Kitchen has granite counter tops with stainless steel under mount sink, stainless steel appliances and Reverse Osmosis system plumbed to the fridge water and ice. The kitchen also offers a eat in Café dining area, separate counter height bar seating, large Pantry and custom Laundry Area with cabinets. A separate Dining Room with built in desk & shelving can also be used as a study and a large central Family Room round out the living areas. The Master Bedroom offers private entry from the pool area, walk-in closet with custom shelving, cedar lining and plenty of storage. 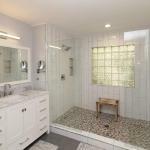 The Master Bath has a large garden tub and separate shower with a river rock floor, and dual sink vanity. 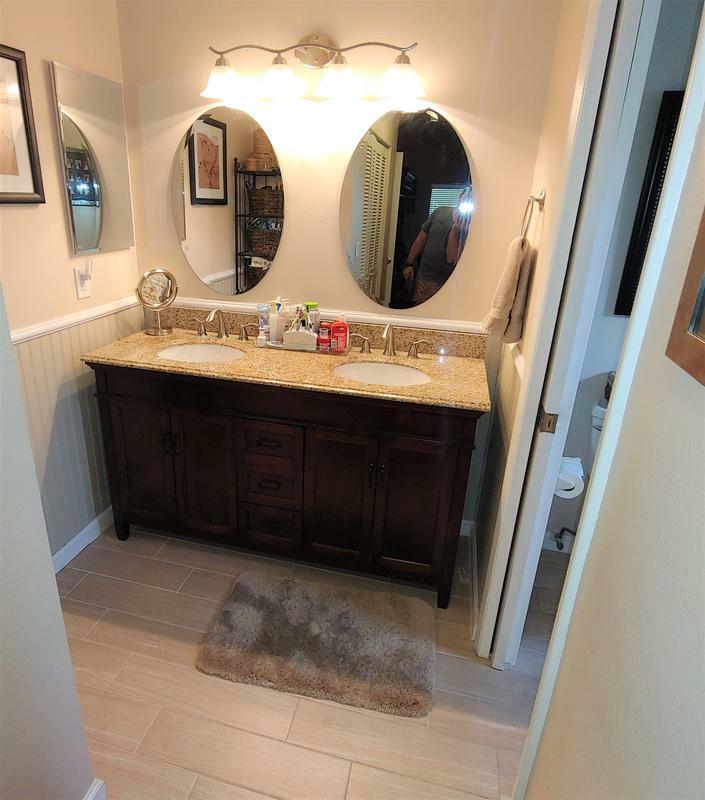 All of the bathrooms have been recently updated with new granite vanity tops, under mount sinks, faucets, lighting and mirrors. 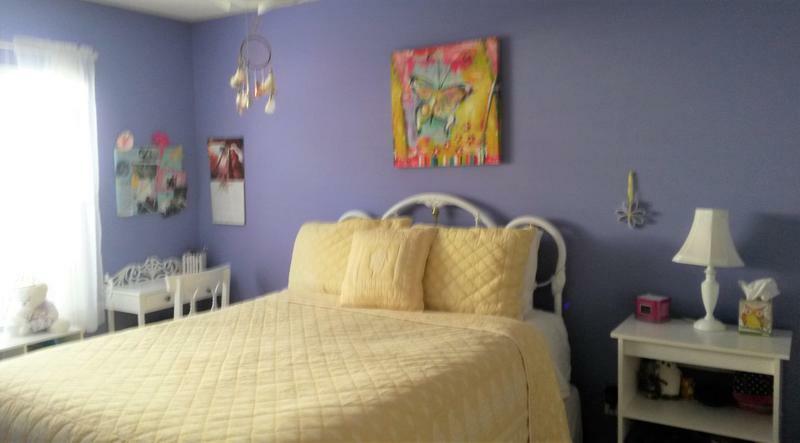 All of the rooms offer vaulted ceilings, updated ceiling fans and lighting. The arched accents and planter shelves add to architectural charm of this home. Laminate flooring is throughout all the living areas and ceramic tile is in Foyer, Baths and Kitchen. The roof was replaced in 2016 with upgraded architectural shingles, ridge vents and updated per current code requirements. Also in 2016, the home exterior was sealed and painted, the screen enclosure hardware and screens were replaced and the front entry was screen enclosed. Located near Apollo Beach, just off Big Bend Road. 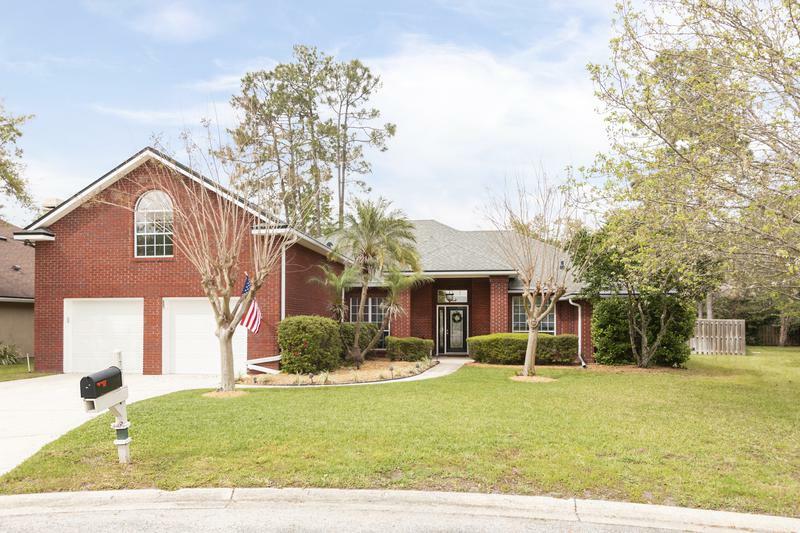 1.5 miles to I-75, 20 minutes to Tampa, 35 minutes to Macdill AFB and 30 minutes to Bradenton. Very convenient area for access to major highways, US 41 and US 301, local shopping and dining directly off Big Bend. 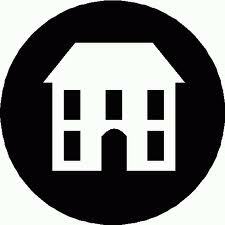 No CDD’s and low HOA. 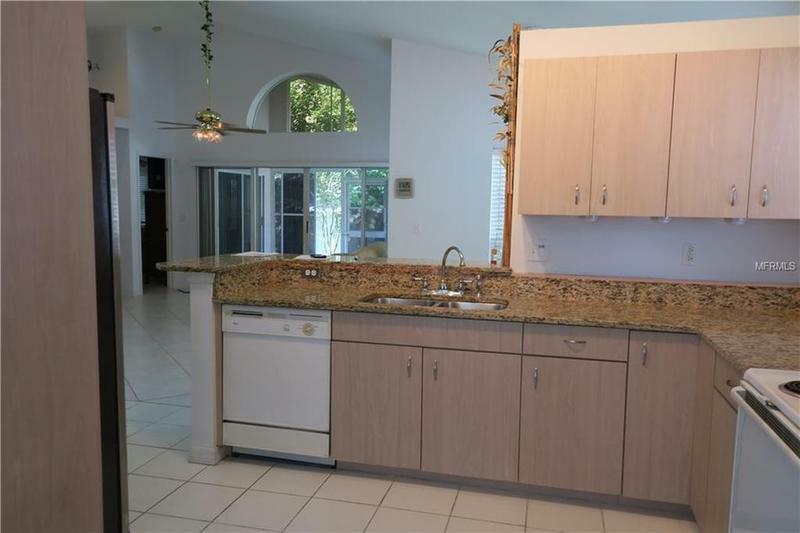 Beautiful 3 Bedroom, 2 bath home in the gated community of Huntington in Miramar.Awesome gourmet kitchen w/ granite counters, stainless appliances, top cabinetry. Countless upgrades incl remodeled bathrooms, tile flooring, lighting.Garage has been convert to a family but can be a 4th bedroom. Fully fenced yard with pavered patio area. 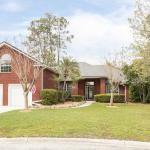 Close to top schools, parks, shopping/dining and I-75. 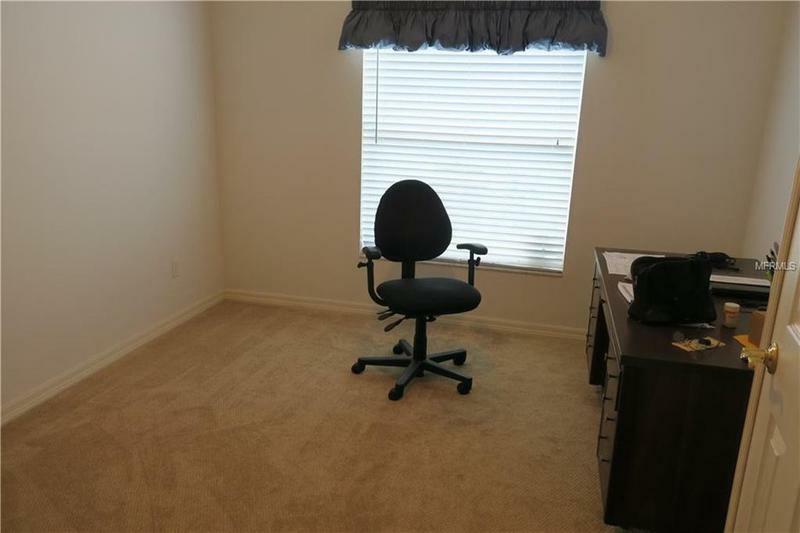 Perfect location, Grade A Schools, close to shopping, dining, and major highways for easy commute.Multiple year lease okay for military. Click the ad above for more information and to contact Jim! 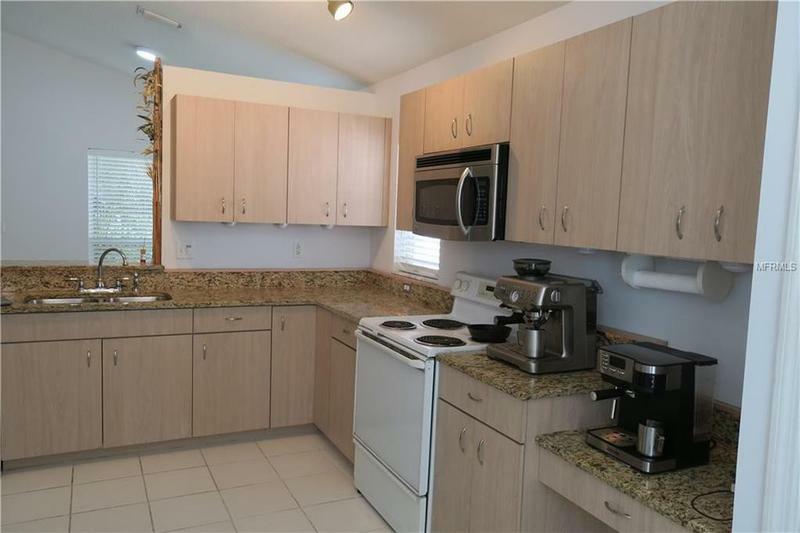 2/2 condo in Lake Point Tower on Hallandale's Golden Isles. 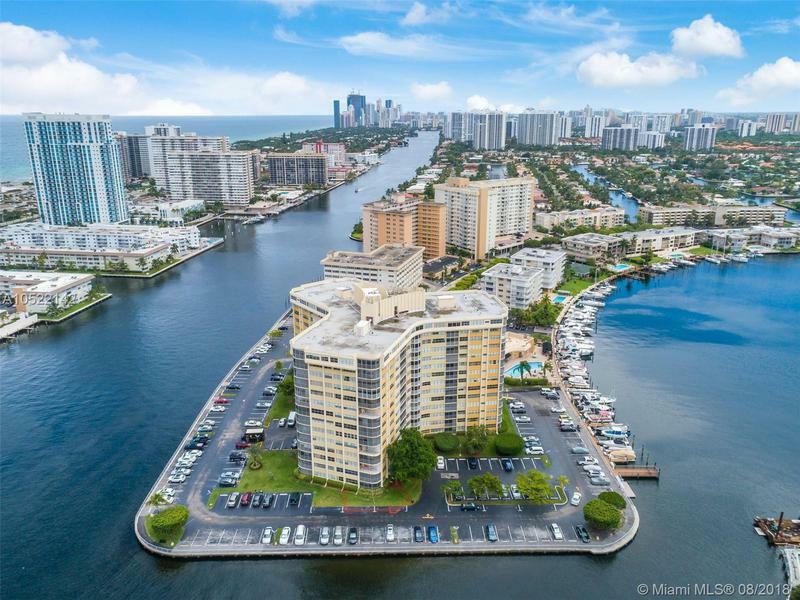 Amazing Intracoastal, Lake Hallandale and skyline views from your screened-in balcony, both bedrooms and the kitchen. 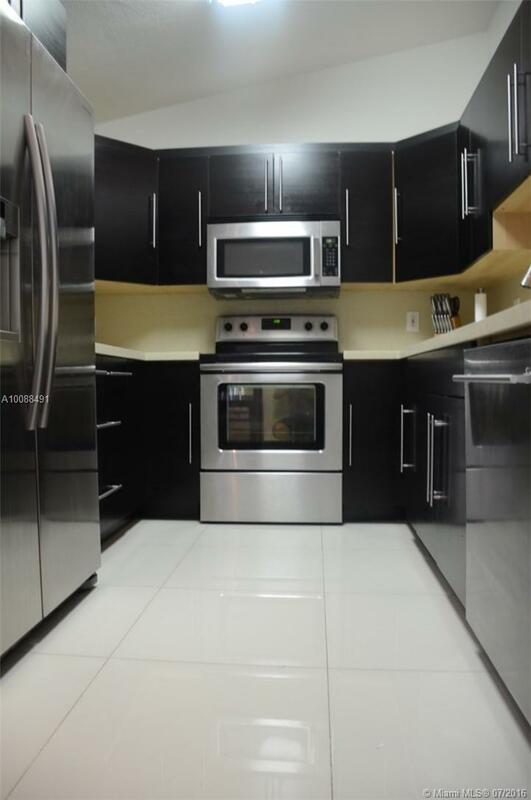 Recently remodeled kitchen with stainless steel appliances, wine cooler and quartz counters. 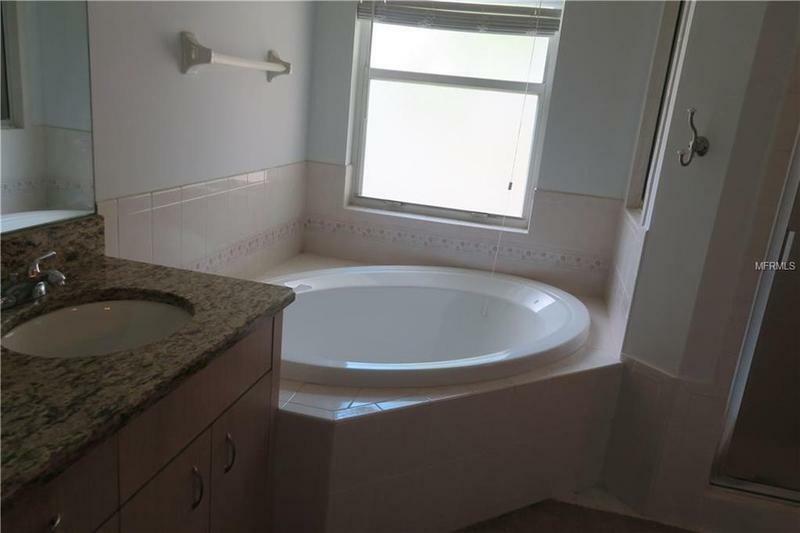 Updated bathrooms with Italian marble flooring in the living areas. ACCORDION Shutter protection on balcony. The features of this luxury building include but are not limited to: 24-hour guard security, clubhouse with a gym, billiard, and library. Boat docks that are available on a first come first serve basis; fishing pier, heated pool, sauna, BBQ, and neighborhood free bus service. Conveniently located near shopping, casinos, and restaurants. Call 727-277-0888 for more information! Come see this gorgeous and well-maintained home nestled in the quiet neighborhood of Kindle Wood. 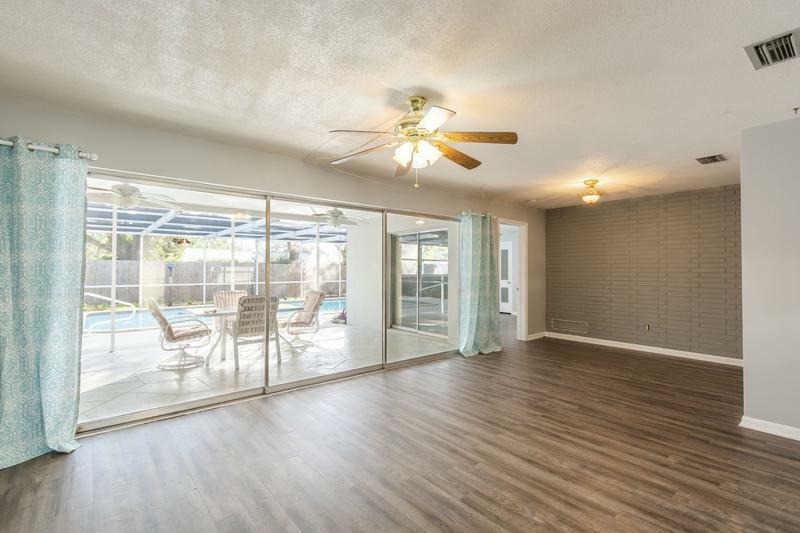 Upgraded flooring welcomes you as you enter this 4 bedroom, 2.5 bath house with master suite and bonus room located on the first floor, and secondary rooms along with a large loft with built in desk upstairs. 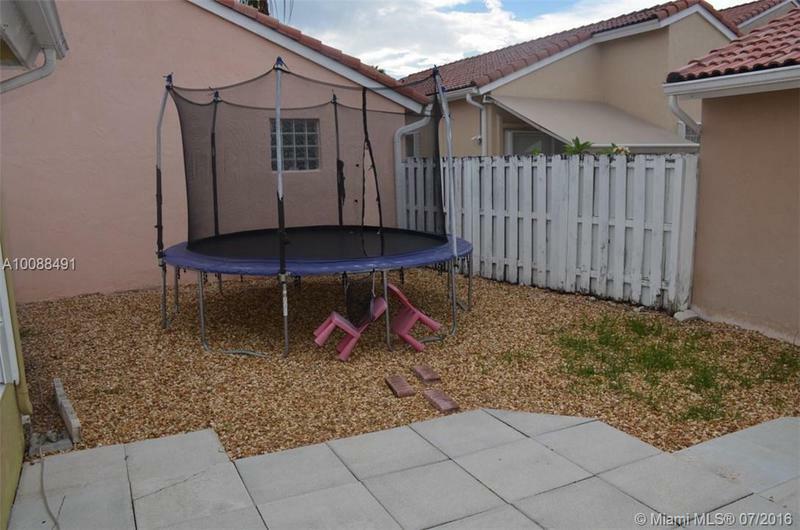 Large fully fenced backyard is perfect for entertaining. Community amenities include a pool, playground and walking path, all with NO CDD fees! 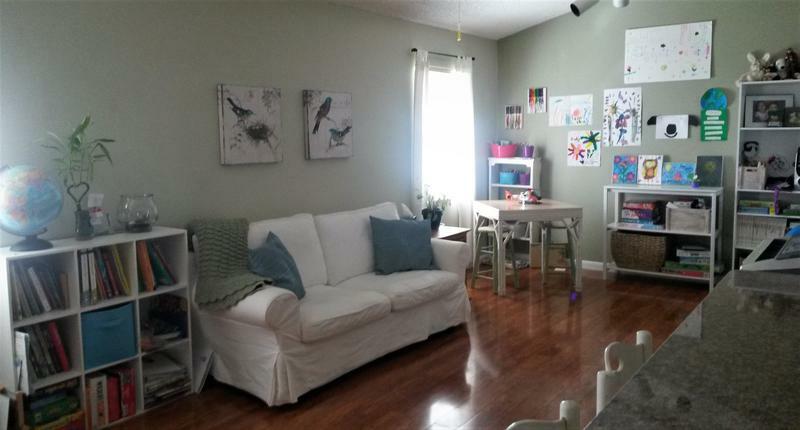 Located in a very friendly and family oriented neighborhood with plenty of kids. The private fenced backyard is a sizable area and has wonderful sunset views over the empty field behind house. 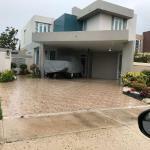 Close to shopping, beaches, restaurants and great schools. 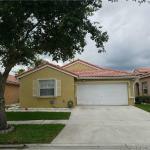 • Fully fenced yard with reclaimed water sprinkler system. 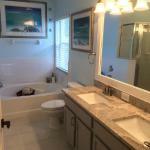 • Newly renovated Master bath. • New wood floors in all major rooms. 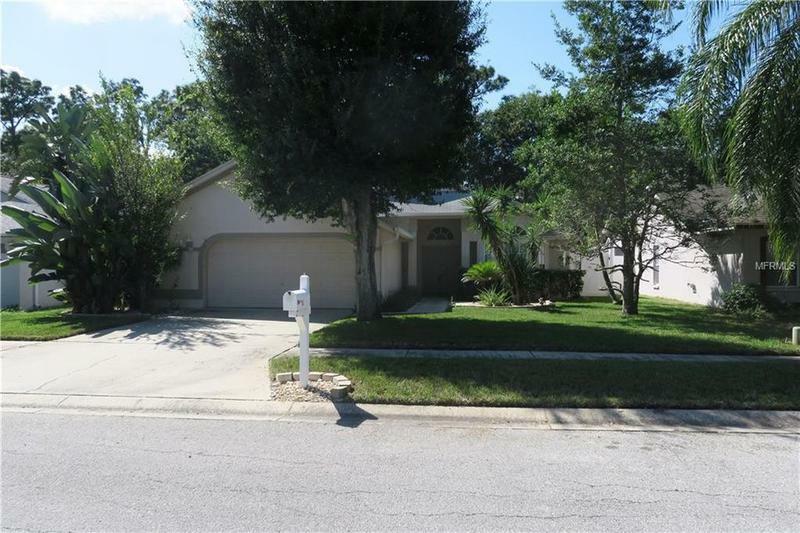 This home is located in the sought after coastal community of PALM HARBOR, FL. You can bike to the Gulf of Mexico, the famous Pinellas Bike Trail or drive 7 minutes to the scenic Dunedin Causeway. This also leads to Florida’s most popular State Park, Honeymoon Island & Caladesi Island. • Ozona Elementary, Palm Harbor Middle, Palm Harbor University H.S. This is a Non-smoking home & garage. 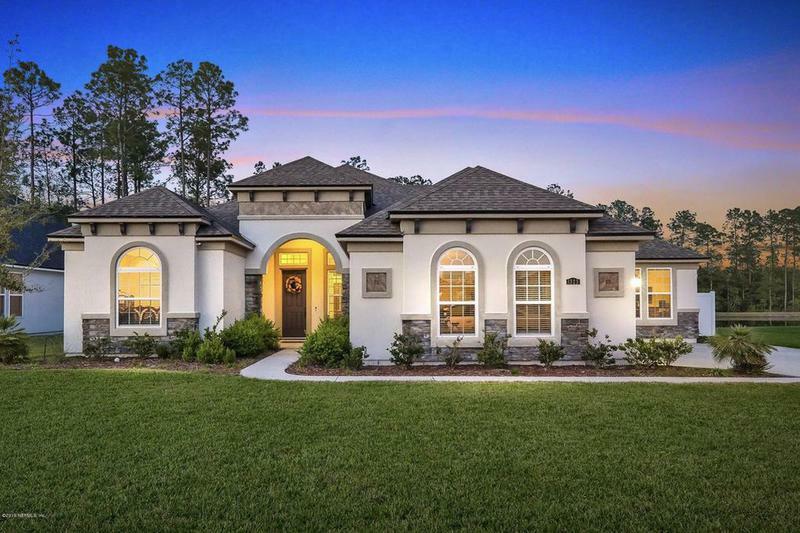 • Beautiful Home in Rainforest subdivision. 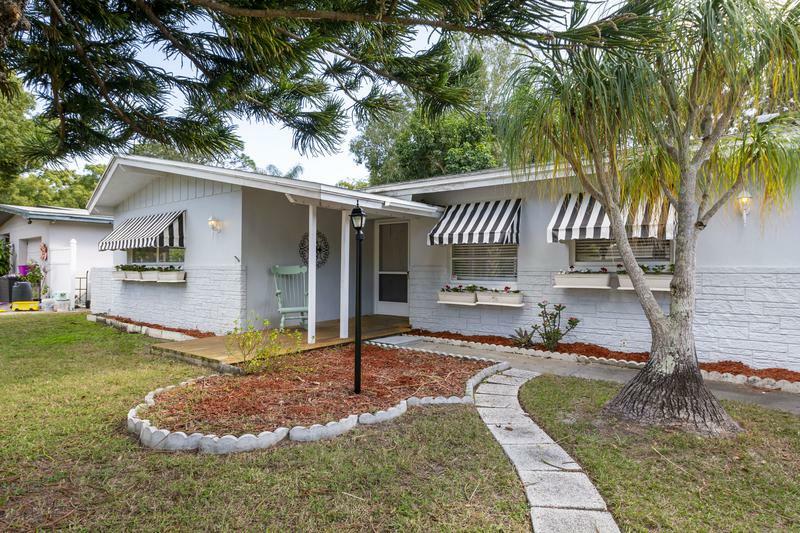 Superb Clearwater area property. 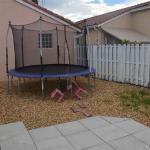 This home is located in close proximity to Tampa, St Pete and beaches. 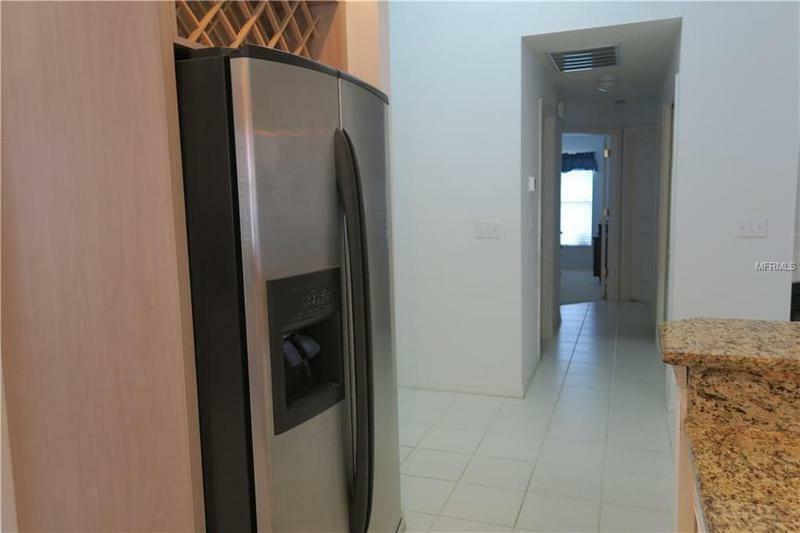 The home is complete with an updated kitchen and includes stainless steel refrigerator and granite. 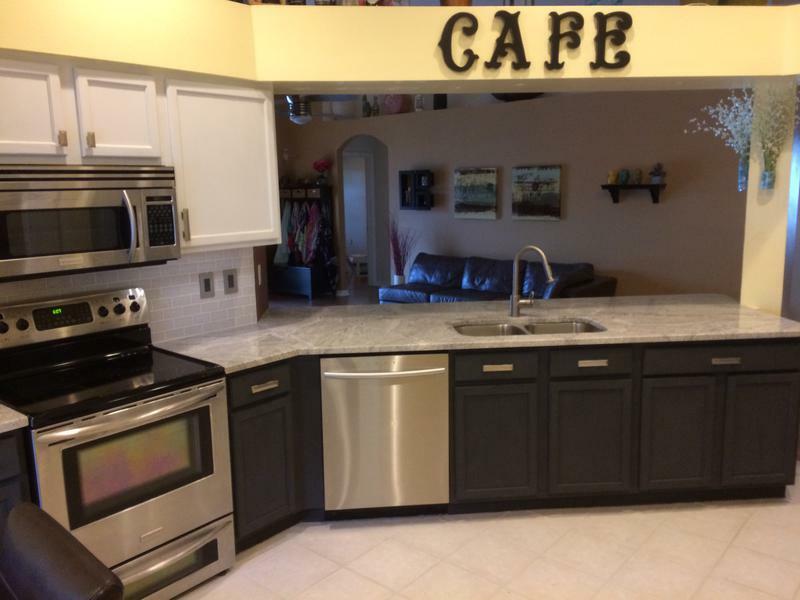 There is a bar in the kitchen, perfect for entertaining guests. 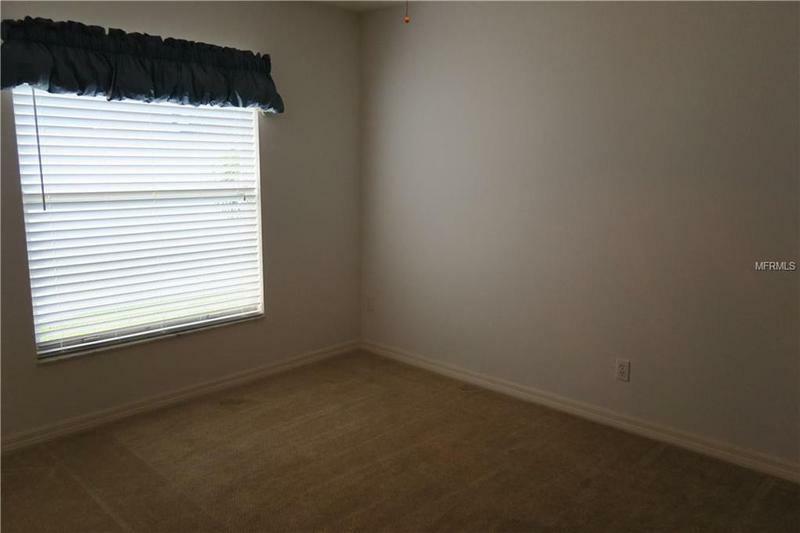 Tile and laminate flooring throughout the main area, and carpet in Bedrooms, keeps things clean and cool. A split floor plan offers privacy and comfort for both occupants and guests. Outside the home is a screened in sitting area and deck. 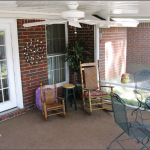 The yard has been meticulously maintained and is landscaped beautifully. A new roof has been installed as of 2/19/2019. It meets all current code requirements and with a Wind Mitigation Report will result in a reduction of Home Owners policy. 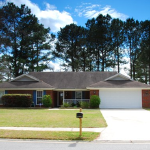 • For showings by appointment, you or your agent can contact Greg Lawler – 863-399-7197. 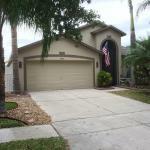 We are selling our home in Oakleaf a part of the Eagle Landing Golf Community. 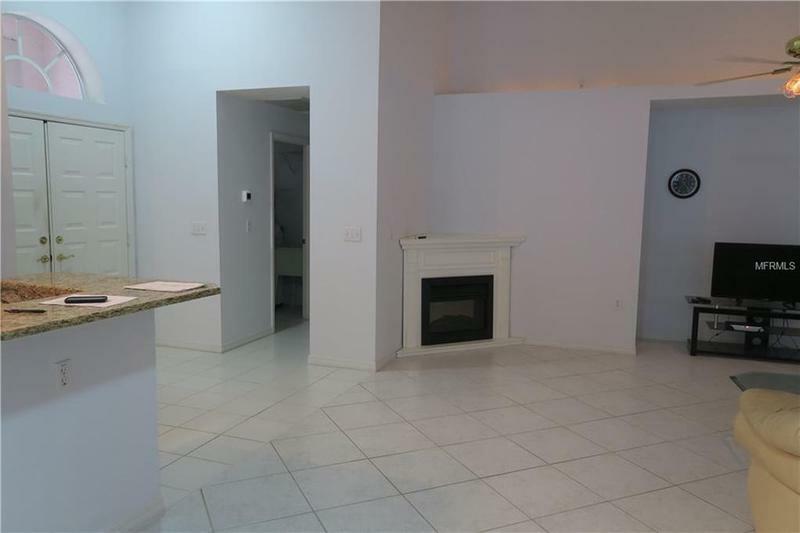 It is a 4 bedroom, 3 bath home, approximately 2273 ft.² It has a large master with en suite, tray ceilings, a bay window, two closets and a double vanity. 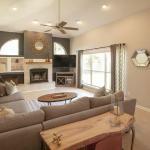 In addition you’ll find a formal dining room, breakfast bar, and eat in kitchen. 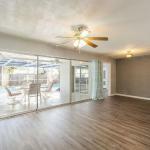 The backyard features covered lanai, paver patio, fenced yard, and views of the lake and preserve. 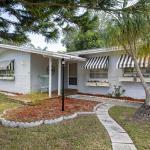 Located in Tarpon Springs, 30 minutes north of Air Station Clearwater. 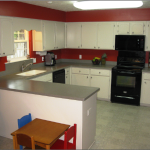 4 bedroom (split floorplan), 2 bath, 2,300 sq ft remodeled home. 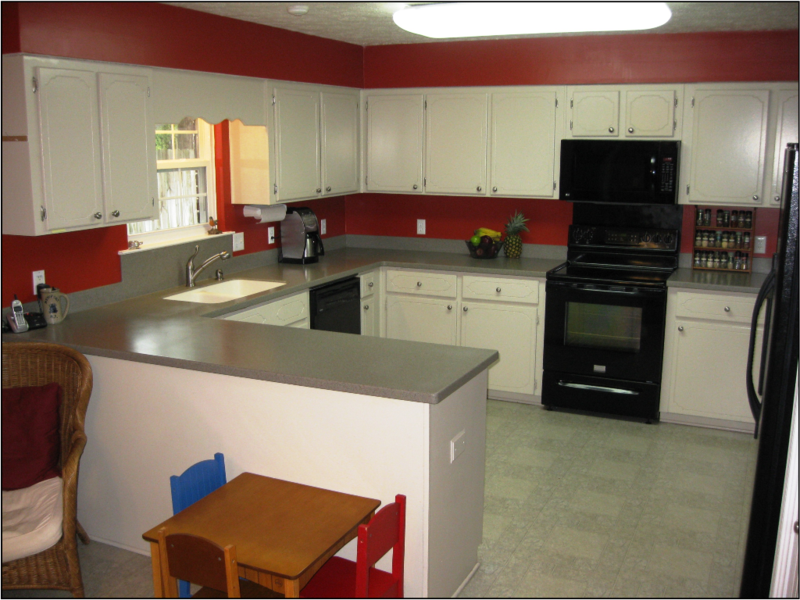 Up to date kitchen cabinets, counters and stainless appliances, flooring and paint throughout the entire interior. Conservation area behind the enclosed pool (no rear neighbors!). Quiet well-kept neighborhood in the Shadowlake Village at Woodfield. Highly rated schools, walk to Brooker Creek elementary, Eastlake middle and East Lake high schools 5 minute driving distance from the house. Eastlake youth soccer/baseball/football/cheerleading sports complex 5 minutes away. I’m available to help make this next PCS a little easier. 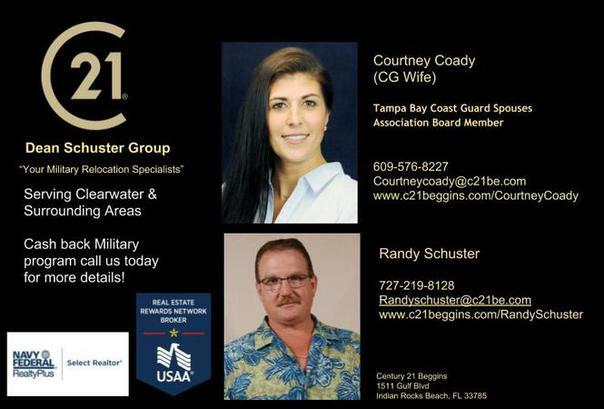 Coastie tenant contact information available upon request. Multiple year lease okay. No pets. Single-story brick home in a great Georgetown neighborhood on Savannah’s Southside. 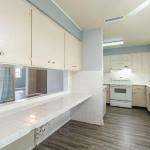 Centrally located, so you are close to everything! 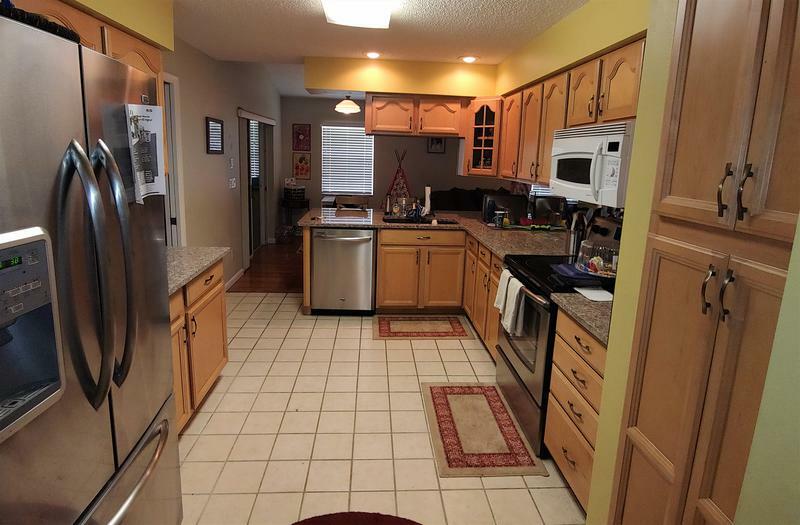 Large eat-in kitchen with sold surface counter tops and PLENTY of storage and counter space. From the octagon-shaped dining room you can enjoy the wood-burning fireplace in the living room. 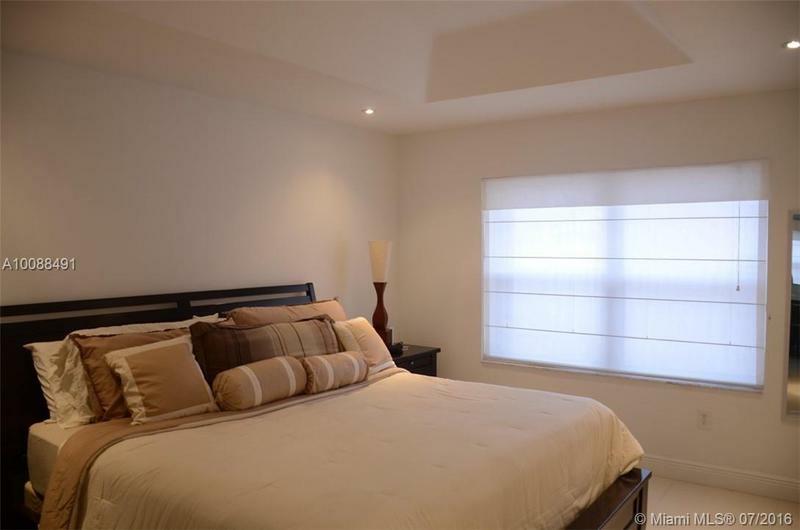 Spacious master bed, bath and walk-in closet. 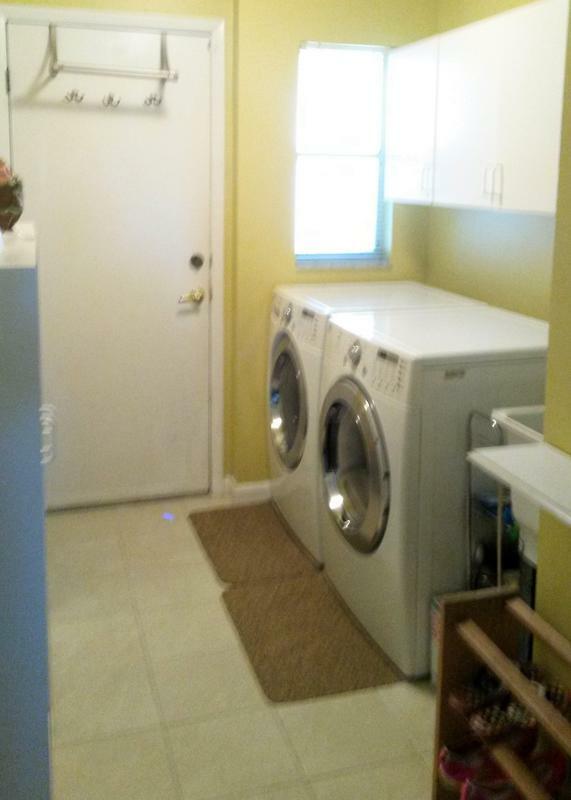 Very large laundry/utility room with shelving. Large fenced-in backyard with storage shed. 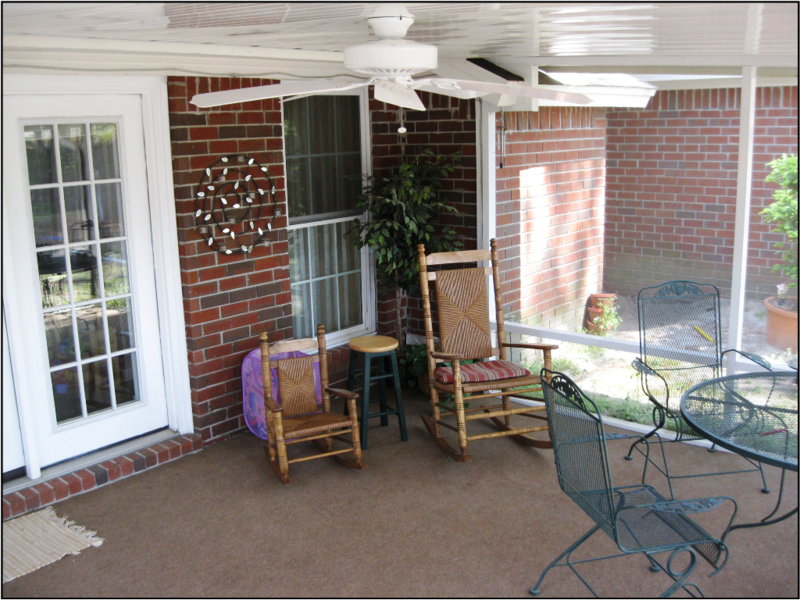 Enjoy all four seasons (sand gnat and mosquito free) in a 14'x16' screen porch off the french doors in the kitchen. Pegboard and wire shelves line the 2-car garage walls for easy storage. Walking distance to Georgetown Elementary. One mile from Community Center and amenities, including tennis courts, basketball courts, pool, fitness center, and playground. About 10 miles to CG Air Station/HAAF. 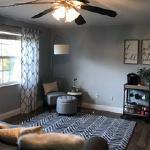 TURN KEY and MOVE-IN ready!!! 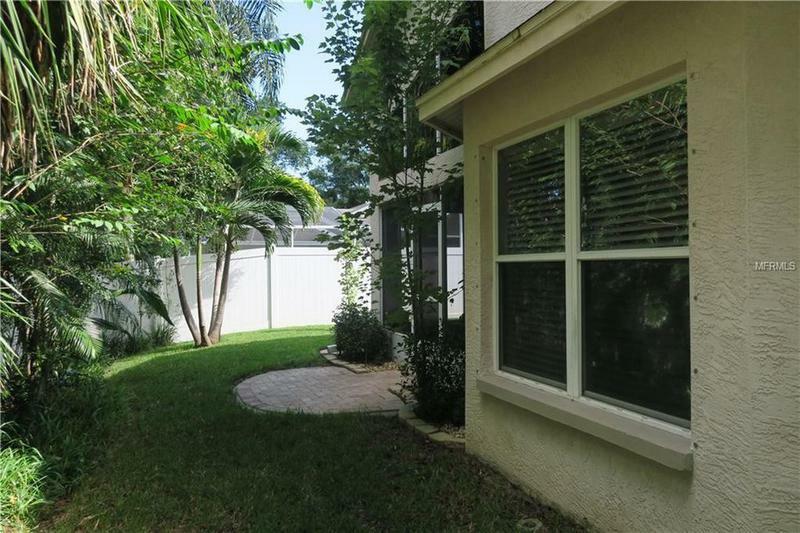 UPDATED POOL home in THE EAGLES GATED GOLF community with no backyard neighbors! Zoned for all A rated schools and no CDD fees!! As you approach, you will be impressed by the curb appeal, stylish paint and lush landscaping! There are many upgrades here! Going inside you will enter the living and dining room combo featuring crown molding and lighter wood laminate flooring. 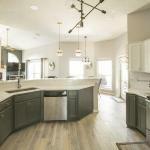 The Chef's kitchen is open to the family room and features newer STAINLESS appliances, GRANITE, stylish tile backsplash and painted wood cabinets (2015). Perfect for entertaining, the POOL has just been RESURFACED with Pebble Tec coating (2019). In addition, the POOL CAGE has been RESCREENED, pressure washed and the deck was stained (2019). 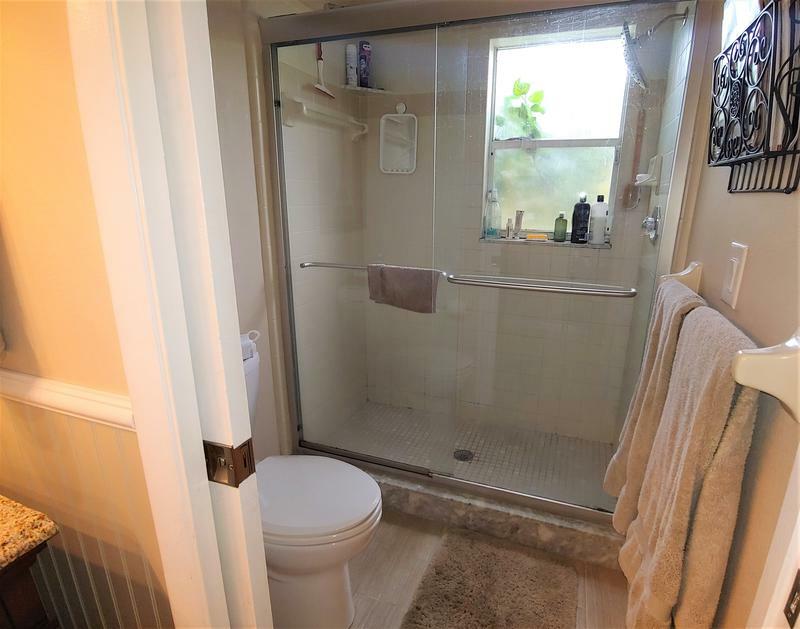 One full bedroom and bath downstairs suitable for handicap access if needed. Heading upstairs, you will find three more bedrooms, a large bonus and 2 bathrooms. CARPET REPLACED in the master and bonus room (2019). 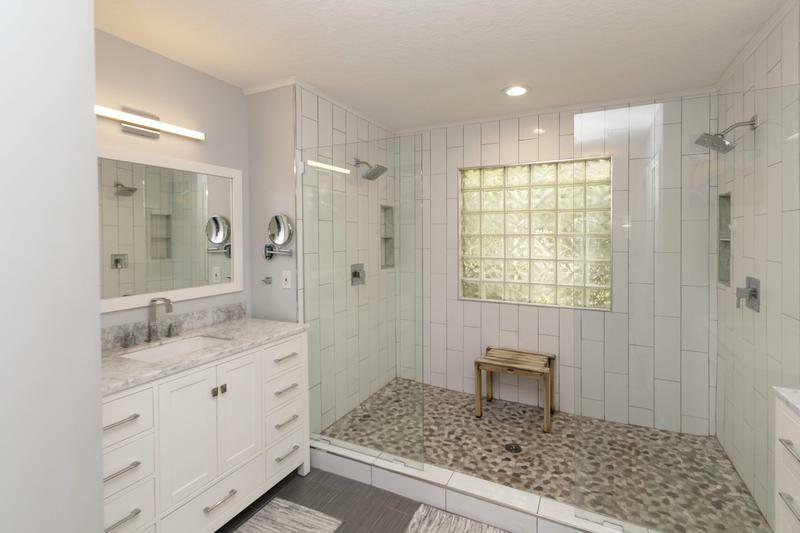 The MASTER BATH features a walk-in shower, garden tub and the GRANITE and CABINETS were UPDATED (2019). NEW Trane AC units installed ($14,500 in 6/2018). FRESH PAINT throughout! This fine residence has been meticulously maintained and pride of ownership shows! LOW HOA fees (under $100/month) and LOW TAXES! 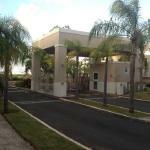 Well-maintained gated community with 2 entrances and 24x7 security. Further, there are 2 golf courses, a remodeled clubhouse, play area, basketball and tennis courts. Bring your golf cart and watch the wildlife! 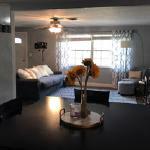 Watch the virtual tour!!! Call today. Won't last! 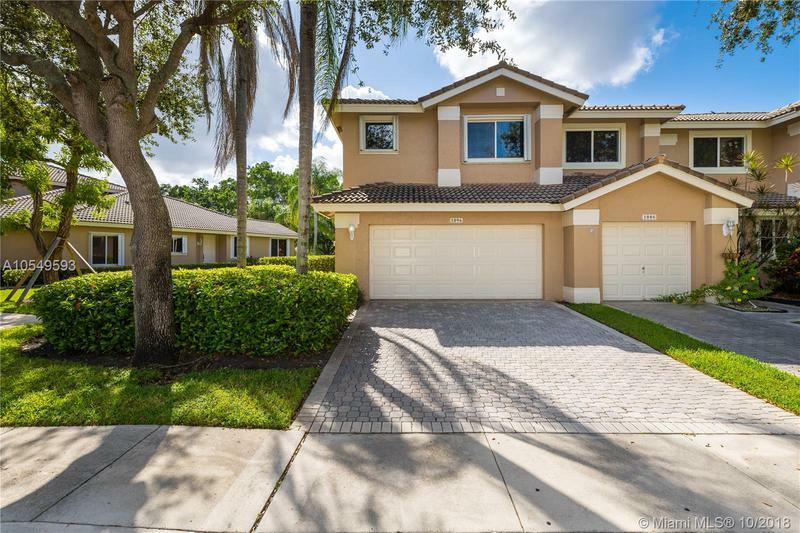 This spacious, single-family, Clearwater home features two master bedrooms, an attached oversized 2-car garage, and instant access to the Ream Wilson walking/biking trail through the backyard gate. 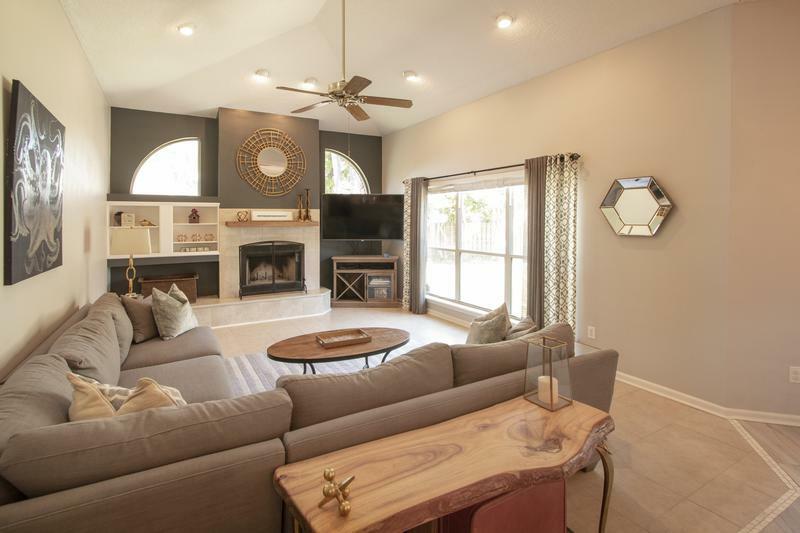 A large living room and family room create inviting spaces to spread out and entertain over the beautifully updated laminate flooring throughout the house. 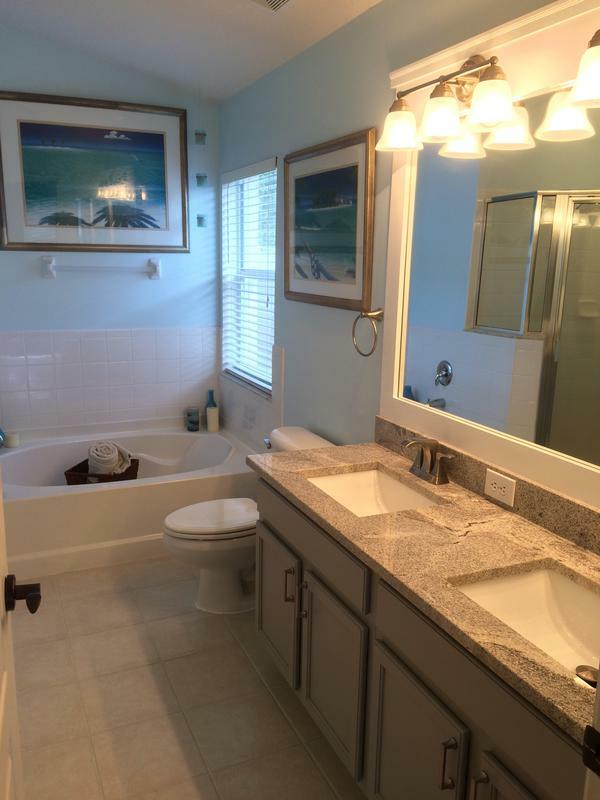 Both master bathrooms include large walk-in showers in addition to one also featuring a separate Jacuzzi tub. Conveniently located in the central Tampa Bay Area, there is easy access to Tampa, Clearwater Beach, and St. Petersburg. The Ream Wilson trail provides easy access to a park and nature preserve. This home is perfect for a large or expanding family. 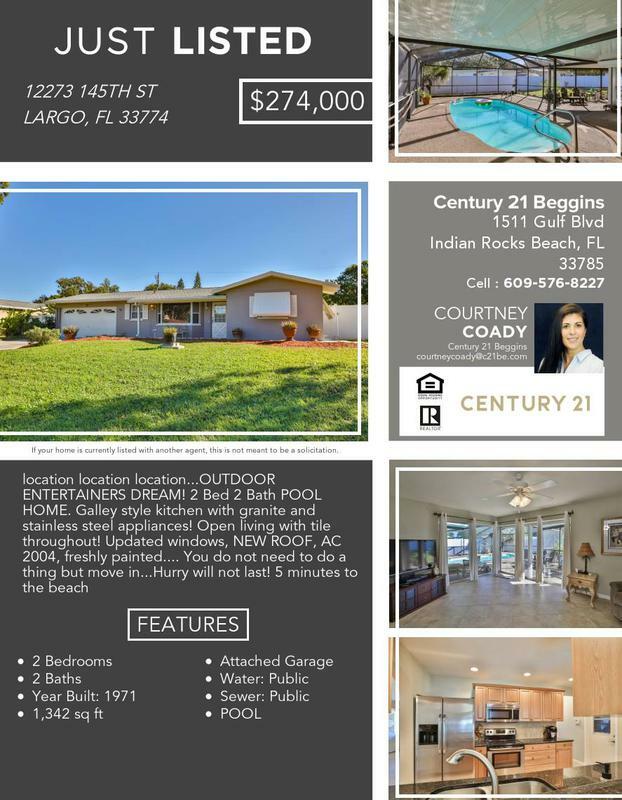 CLICK HERE FOR MORE INFO ON THIS HOME! 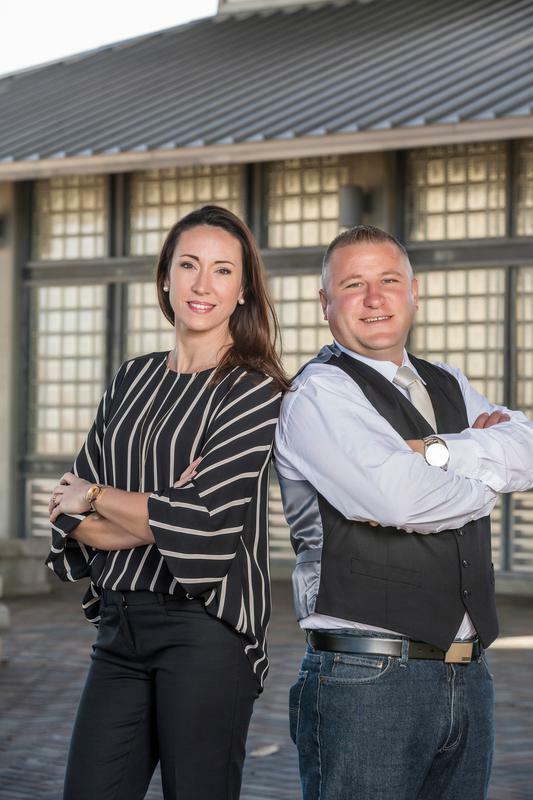 These ORIGINAL owners are ready for a new Buyer to call this home their own. 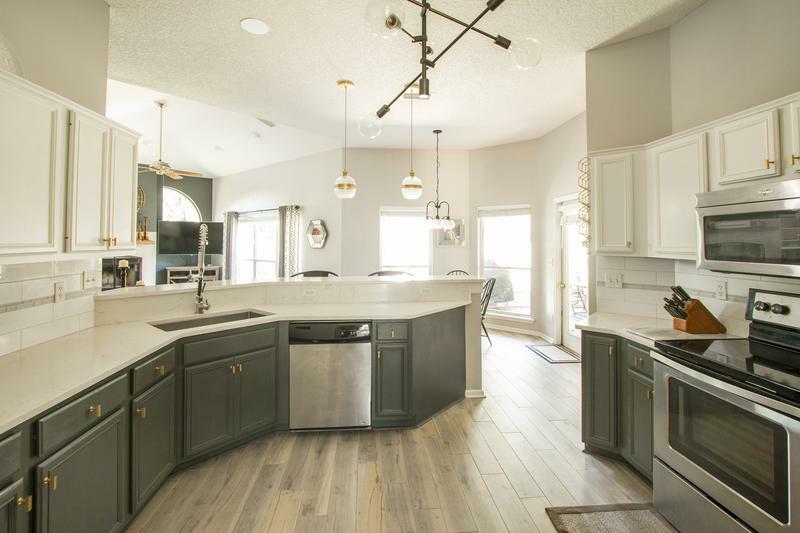 Features include: A roof that was installed in 2006, a kitchen with granite counter tops, stainless steel appliances, pantry, high-hat lighting, walk in closet in the master suite and separate dining/living/family areas with spectacular lake views from most rooms. Wood flooring adorns the stairway and entire 2nd floor with bare flooring ready for your flavor currently found in the master suite & great room (next to the kitchen). What's even more special about this home? An additional loft area that is perfect for a kids play room, lounge area or anything you desire! 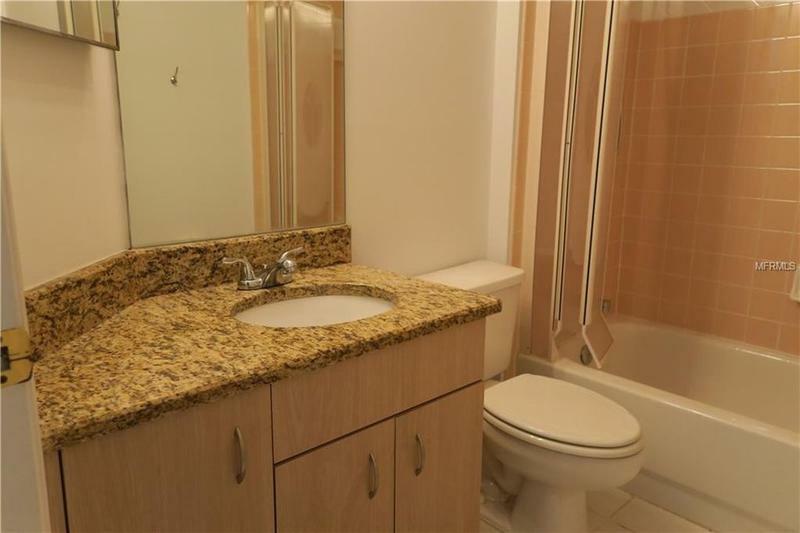 Conveniently located near I-595, shopping plazas, and A-rated Western Highschool. Grand Palms Golf and Country Club. 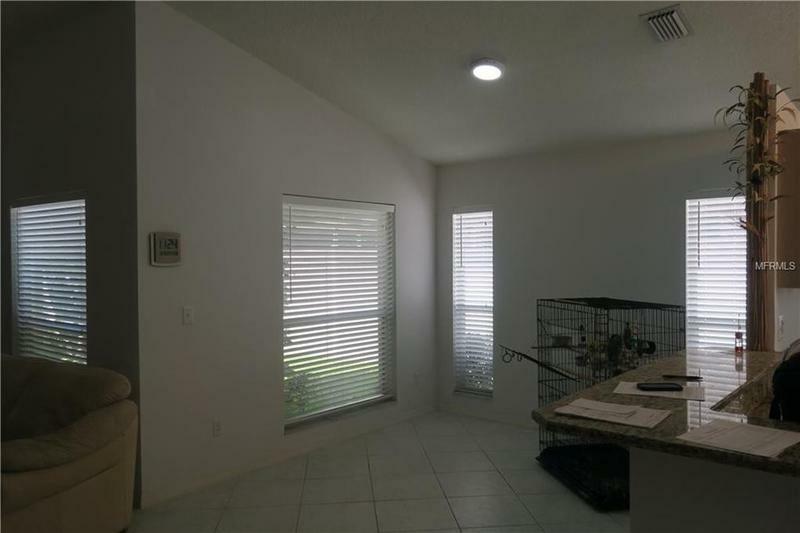 This split plan home has wood laminate throughout, vaulted ceilings w/ plenty of light and ACCORDION HURRICANE SHUTTERS. 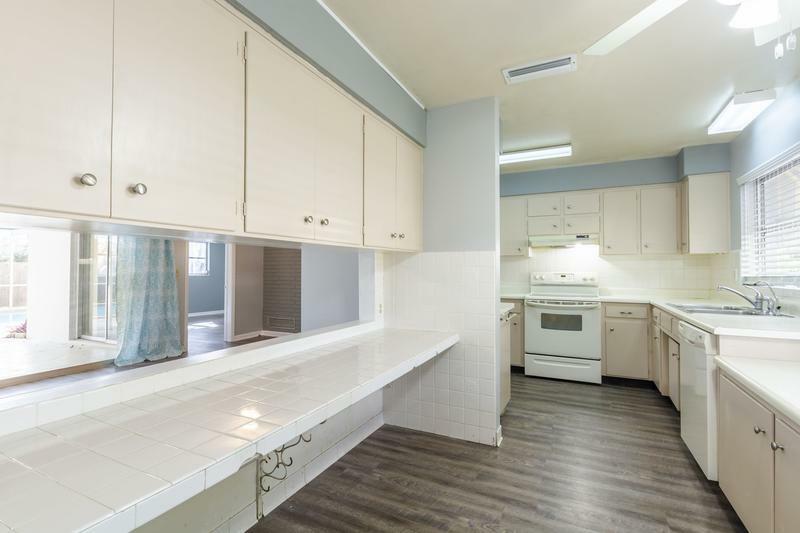 Newer eat-in kitchen has granite countertops, wood cabinets +stainless steel appliances. 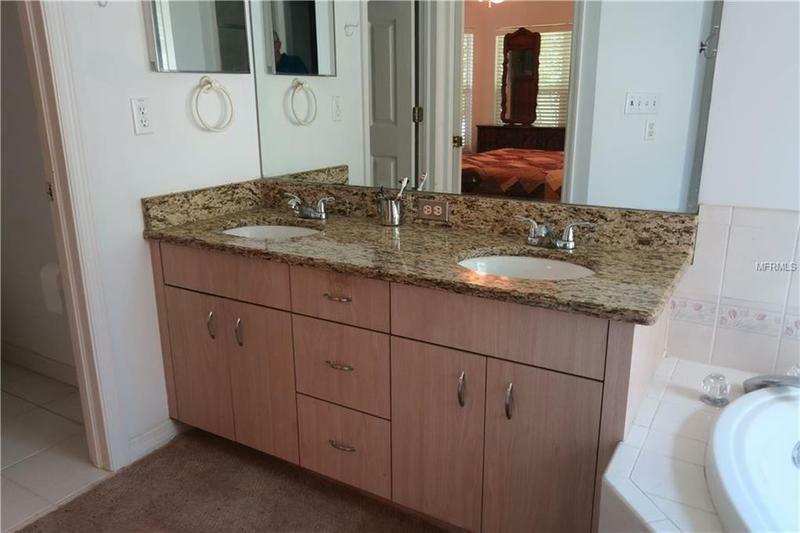 Bathrooms upgraded w/beautiful granite countertops and newer wood cabinets. HUGE back yard w/plenty of open space. Basic landscaping, basic cable and basic alarm currently inc. HOA. Community is located just off I-75 and close to Pembroke Gardens, Whole Foods, Regal theater + More. One dog/cat >40Lbs w/ $300 refundable deposit. Professionally Managed by C&C. 3/2 with large bonus room and closet that can be a 4th bedroom, dr, fr, beautiful eat in kitchen, gas fireplace, lots of storage and beautiful molding, Brazilian cherry floors, great location (between downtown and the beach and in a cul de sac), friendly neighbors, many social events in neighborhood, and great schools. $339,000 without a realtor. You can check out our ad on military by owner (ad #MBO 379405) for more pics and details. Let me know if need more info-thank you! 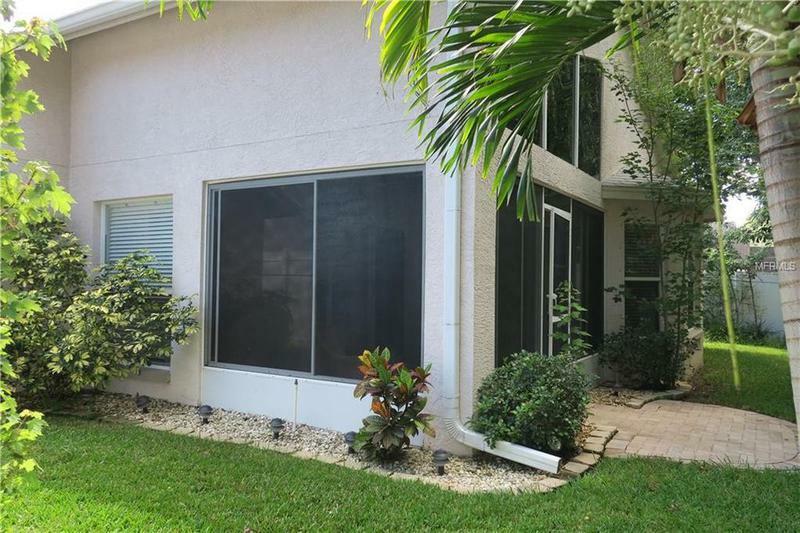 This home is centrally located on a nice quiet street minutes from downtown St Pete, Weedon Island preserve, shopping, & minutes from I-275. 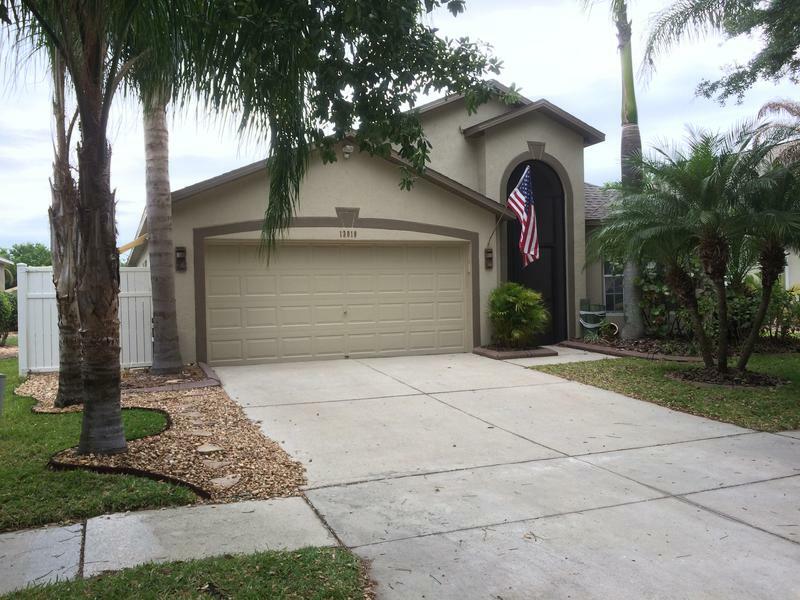 Enjoy a 15 minute commute to either Air Station Clearwater, Sector St. Pete or 20 minutes to MacDill Air Force Base. 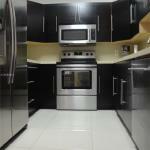 Do not miss this opportunity to rent this perfect home at an attractive price. 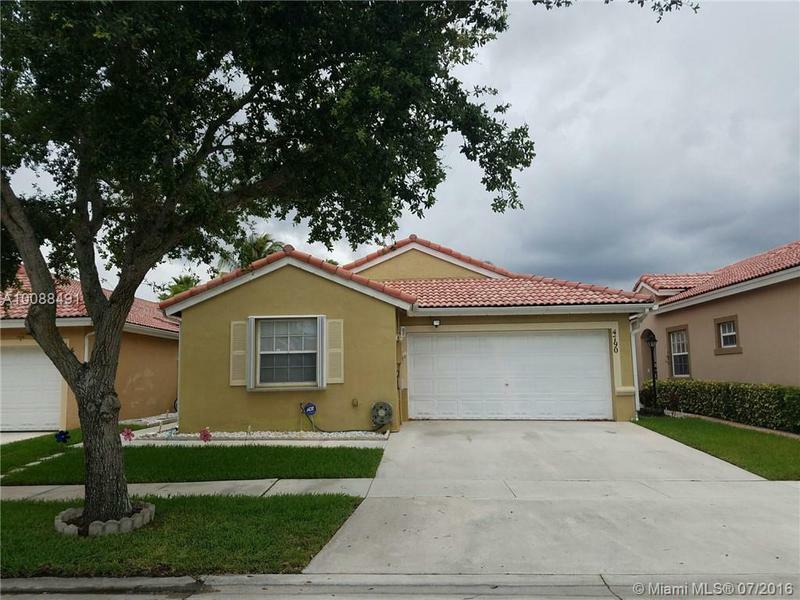 Well maintained 2 story 4 bed/, 2 1/2 bath home, PERFECT for the growing family and walking distance to several parks! 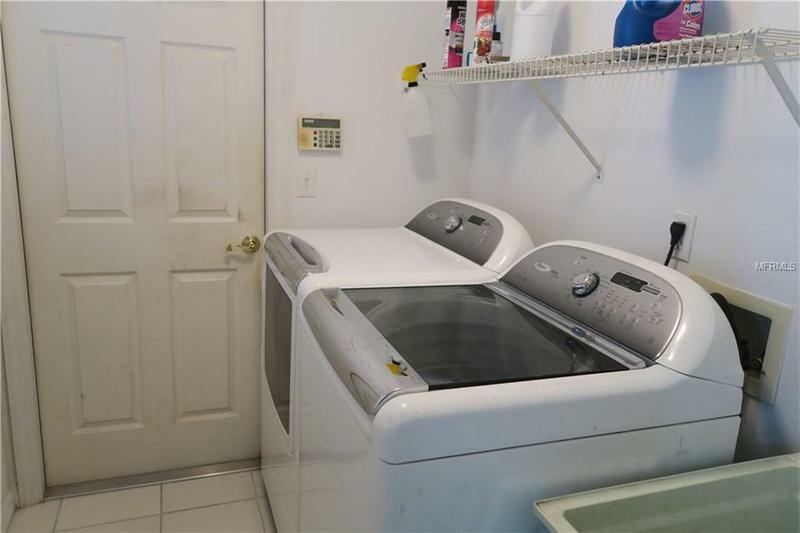 This spacious home has 3 bedrooms upstairs with the 4th down stairs that can function as an office that also has a custom wood cabinetry/closet with a hidden murphy bed. 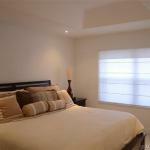 The master bedroom boast custom wood cabinetry closet and views of the waterfront leading to Riviera Bay. 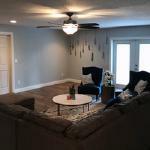 The living room flows into the dining room which leads out onto the screened patio which has an in ground cold tub and deck overlooking the private Artesian feed pond! Also, a small dock is perfect for fishing or using a small paddle boat with the kids. A boat ramp is conveniently located 5 minutes away for your enjoyment. 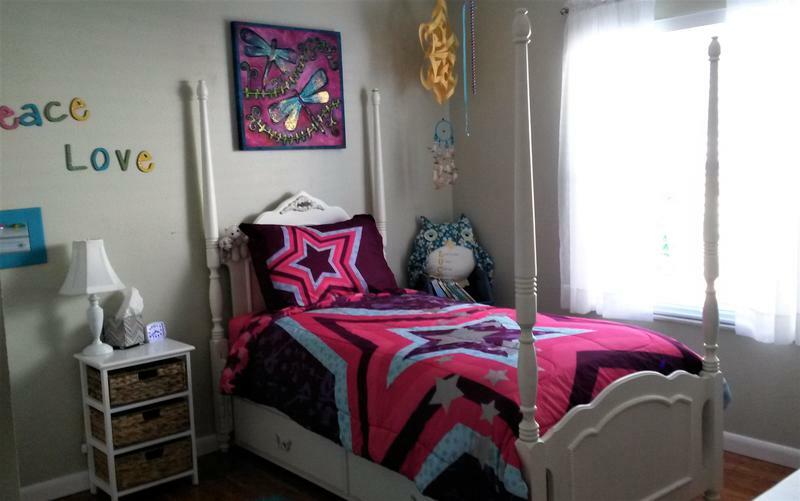 Enjoy great views of the canal from the front of the home and the Master bedroom. 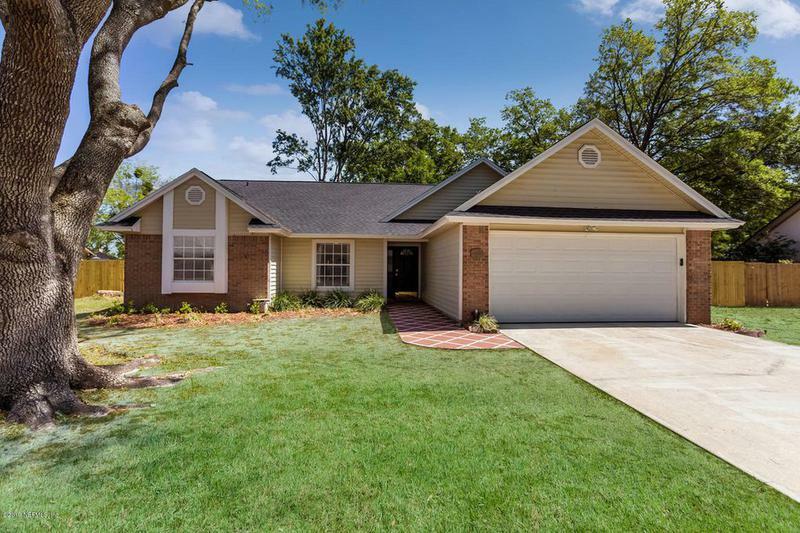 This home features many upgrades and is MOVE-IN READY! 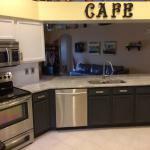 The kitchen has new hardware, dishwasher, & updated appliances. 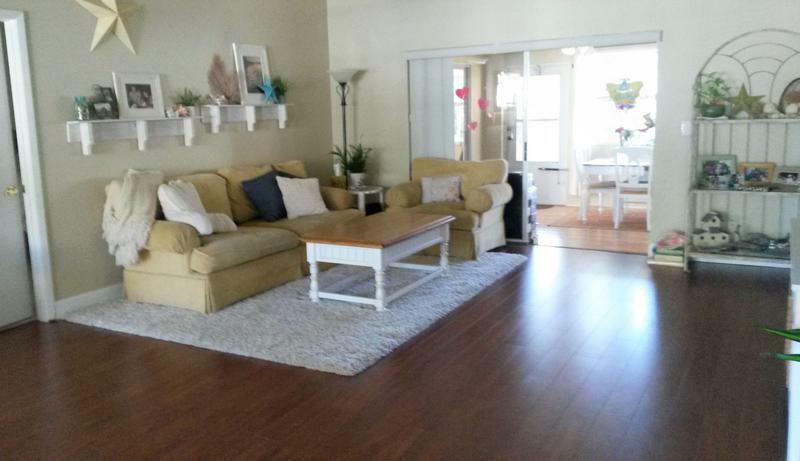 Beautiful bamboo & tile flooring throughout! Newer UV & hurricane windows, central heating & air, and pumps & blower on cold tub. Nice fenced yard with irrigation system along with storage shed. The house will be available in late June to early July. 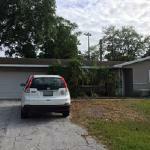 Rent is $1950 month with a $2000 deposit, possible deduction for extended lease. 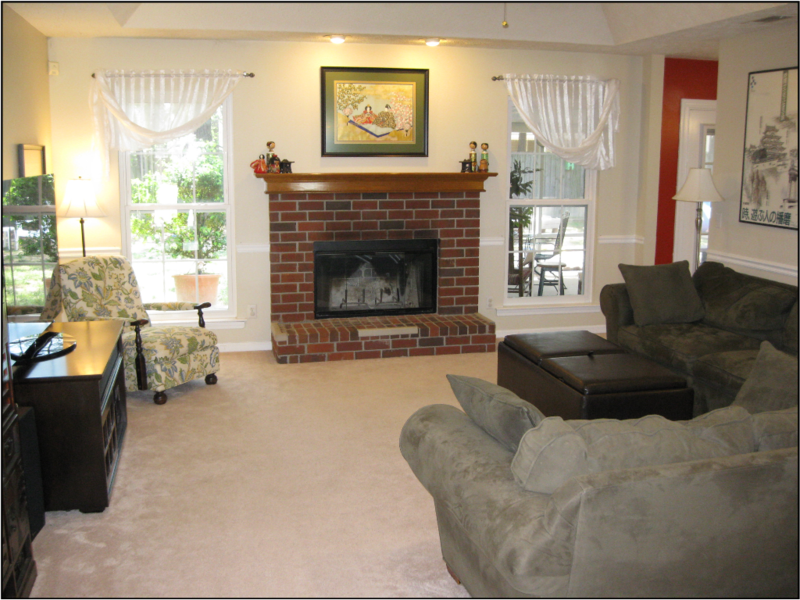 Come see this astounding 4 bedroom, 3 bath home that has been lavishly upgraded. You're immediately greeted with the feeling of spaciousness as you enter the open concept design with extended height ceilings. This home has been masterfully layout with a 3 way split floor plan offering plenty of privacy for even the largest of families. Features include: Gourmet Kitchen with quartz countertops, soft-close cabinets, large island overlooking livingroom, hardwood flooring throughout common areas, built-in bookshelves, coffered ceilings, guest-suite with private bath, massive bonus room, extended patio overlooking a serene water view, large master suite complete with a oversized walk-in closet, garden tub and double shower.Located within minutes of dining/shopping, Oakleaf Plantation, Cecil Field, and NAS JAX. 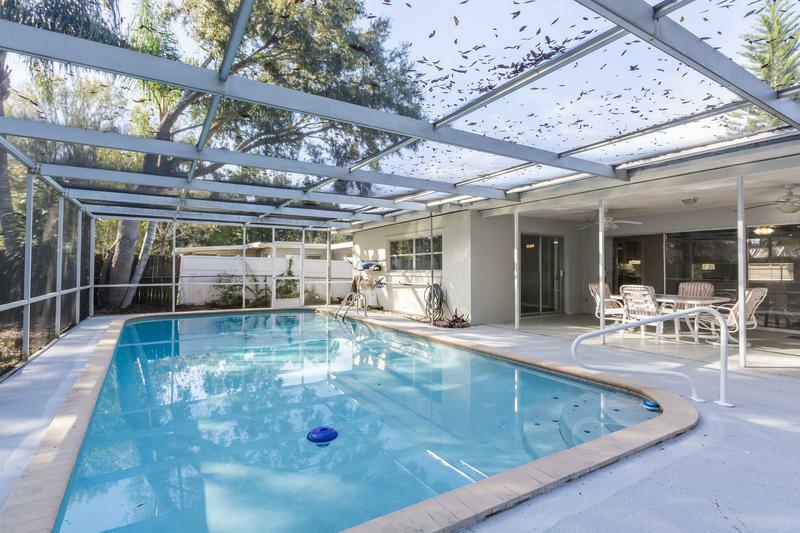 Amenities include pool, tennis, exercise room, clubhouse, children's pool, basketball court and playground. Don't miss your chance to call this home. Schedule your tour today. 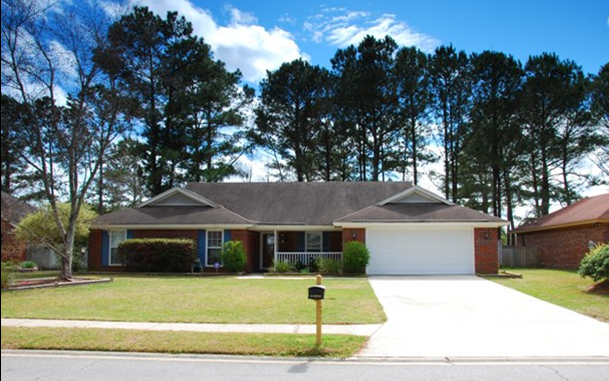 Don't miss your chance to own this spacious 3 bedroom, 2 bath home nestled in the heart of Argyle Forest. The almost 1700 sq ft of living space is masterfully designed to maximize space for relaxation and entertainment. 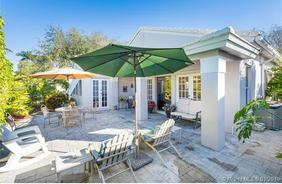 A fully fenced back yard welcomes summer bar-b-ques while the wooded lot offers plenty of shade. 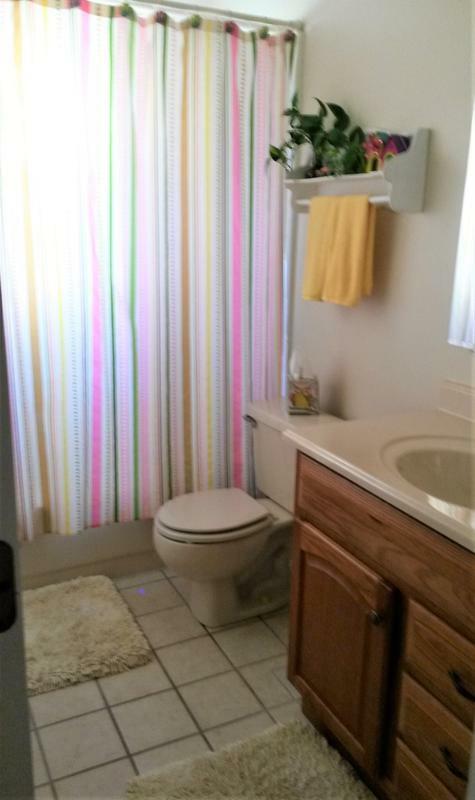 This home is conveniently located near area highways, schools, shopping and dining. Come see this gem today!